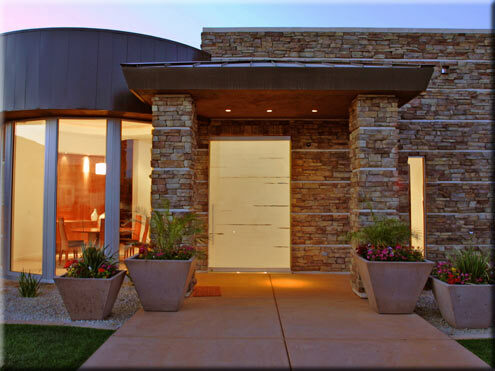 A well-designed custom home is a product of the dialogue between the architect and client. Commissioning a house is similar, in a way, to marriage or to forming a partnership. That is to say, it is not something to be entered into unadvisedly or lightly. Not only will hiring an architect provide the thrill of acquiring something unique, it will also provide you with a home that is the perfect fit. A home should meet practical and emotional needs, respond to the site and climate and make your spirits soar. The dialogue between the client and architect can be surprisingly intimate since the private details of your life can be the basis of your house design. When selecting an architect the best approach is to search out designs that delight. Referrals from friends and colleagues who have worked with an architect are a good source along with realtors and contractors. Take house tours organized by museums and civic organizations, ask around and scan magazines. Visit areas where new homes are under construction, often there will be a sign with the architect's information or the contractor or his job crew can tell you who the architect is. After you have interviewed and assembled a list of architects whose work you admire, talk to their previous clients. Was the Architect a good listener and problem solver? Were there any surprises or changes during the design process or during the construction of the house? Are they happy with the end result or do they wish they had done things differently? Building a custom home is not a trouble free process. You will need to feel that you and your architect can talk and listen to each other. A good architect knows when to be quiet and listen to the client's ideas, but confident enough to know his own mind. Provide your architect with love/hate lists, a list of spaces with approximate sizes, clippings from magazines, and your budget limitations. Do not limit your options at the formative stage. Think about important issues such as light and shadow, openness and enclosure, ceiling heights and views. The architect's job is to analyze and distill your thoughts and propose solutions you couldn't have imagined.